Pasadena CA Real Estate: What Are Real Estate Closing Costs? When you buy or sell a home in Pasadena, California, you will incur closing costs. Real Estate closing costs are generally expenses associated with buying or selling your property. Real Estate sales commission - usually the biggest chunk or expense. Each real estate agent and company sets their own real estate commission fees generally based on the services that they provide. Pasadena Real Estate agents market properties differently, belong to different real estate boards and each has their own streangths and weaknesses. Interview your real estate agent carefully to find the right one for you. Escrow Company Charges- each escrow company has a fee schedule. I prefer to use Shamrock Escrow in Pasadena. Tammey Bazinet of Shamrock Escrow is an excellent and knowledgeable escrow officer. She is certified by the state of California since 1993. Shamrock Escrow charges $200 standard fee plus $2 per each thousand of the home sales price. Price your escrow companies. Each has a different fee schedule and a lot of escrow officers are NOT certified. Additional escrow fees include public notary charges, loan tie-in fees, document preparation and messenger fees. Title Company Charges - each title company has their own fee schedule. The fees are based on the sales price and vary significantly from one company to the next. Loan Pay Off Fees: banks usually charge fees when you pay off your loan including reconveyance fees, recording fees and demand fees. Pasadena Occupancy Report - City of Pasadena charges $139.05 for Pasadena condo, townhome or single family residences inspections. A city inspector will come out, perform an inspection and provide a report. These fees usually go up once a year and most likely will be increased this summer. Home Warranty for the buyer: it is common practice in Pasadena to provide a home warranty plan for the first year of home ownership for the buyer. A home seller does not have to provide this plan, but most do. Mortgage/Lending Fees: the most significant closing cost for the buyer would be lender charges including points, application and processing fees. Appraisal Fee: if financing is required on your home, the lender will request an appraiser to provide an appraisal report. In the past, desk appraisals were acceptable by lenders, but recently a full appraisal is required by most lenders. A full appraisal will include the appraiser visiting your Pasadena home and taking pictures of the interior and exterior and providing comparable sales in the area for the last three to six months. Appraisal fees run anywhere between $350 to $600. Escrow Company Charges: both buyer and seller pay their own escrow fees. See above escrow fees for information. Title Company Charges: same as above. Inspection Fees: recommended minimum home buyer inspections include a physical inspection and a sewage line inspection. Roof inspections, mold inspection, structural engineering inspections are also available. Make sure that your inspector is a CREIA inspector. Physical inspectors charge based on the size of the house and can be anywhere between $250 and $600. Send me a quick email or comment below if you'd like to get a list of local Pasadena inspectors. Permit Fees: I suggest that buyers go down to city hall to pull permits on the home that they are buying and talk to the city building inspectors. This is the best way to research the history of your new home and understand what kind of improvements or changes can be done in the future. Please visit our Yelp page to see what our home buying and selling customers think of Pasadena Views Real Estate Team. If I can be of any assistance with your Pasadena Real Estate needs, please do not hesitate to email me or call me at (626)629-8439. Thank you! And, if you are interested in fun activities to do, take a look at our 365 Things To Do In Pasadena® page. 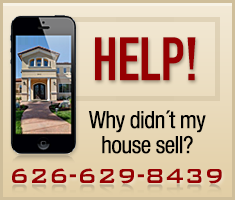 Thinking of selling your home? 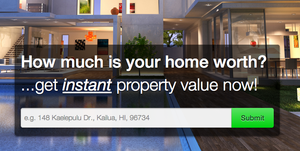 Interested in finding out the current market value of your single family home, condo or investment property? Then call Irina Netchaev at (626) 629-8439 to discuss what is happening in today’s Southern California Real Estate Market.